Ashfaq Masih, a Christian bicycle mechanic from Lahore, has been arrested by police after being accused of “blasphemy”. After Ashfaq had repaired a local Muslim man’s bicycle, the man demanded a discount, claiming that he was a Sadhu – a term for a “holy man”, usually associated with Hinduism. Ashfaq refused and said that he did not follow anyone other than Jesus. A crowd gathered and one of them accused Ashfaq of “blasphemy” and called police, who arrested Ashfaq and officially registered a case against him on 15 June. In May, a Christian from Rawalpindi was sentenced to life imprisonment for “blasphemy”, despite lawyers stating that there was “no concrete evidence” against him. This latest arrest appears to be another case of Pakistan’s infamous “blasphemy” laws being used to settle personal grudges against the vulnerable Christian minority. 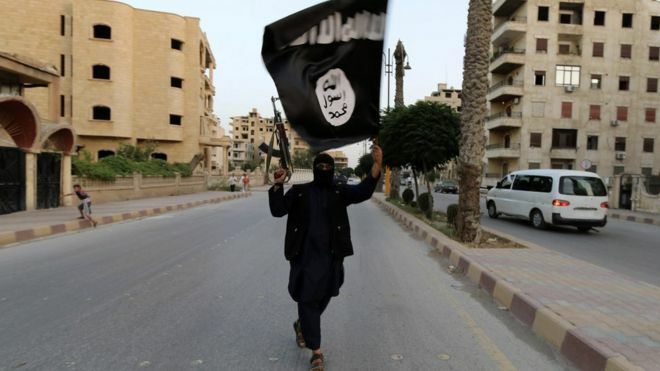 Saudi Arabia is the chief foreign promoter of Islamist extremism in the UK, a new report has claimed. LAHORE, Pakistan, June 27, 2017 (Morning Star News) – Hospital officials are trying to pressure family members of a Christian who died from lack of treatment to drop charges against them by ordering their arrest, sources said. A court in Pakistan has ordered police to register a case against family members and colleagues of Christian sanitation worker Irfan Masih, who died on June 1 after doctors declined to provide him timely medical care, they said. Egyptian forces on Friday launched air strikes on six jihadist training camps in Libya in retaliation for an attack on Coptic Christians in Egypt earlier in the day in which at least 28 people were killed, many of them children. In a televised address to Egypt's people, President Abdel Fattah al-Sisi said: "Before we spoke to you today, we launched a strike against one of the camps" where jihadists train. "Egypt will not hesitate in striking terror camps anywhere, either inside (the country) or outside it," Sisi added. According to state TV, a total of six targets were hit. Gunmen have attacked a bus carrying Coptic Christians in central Egypt, killing at least 28 people and wounding 25 others, officials say. 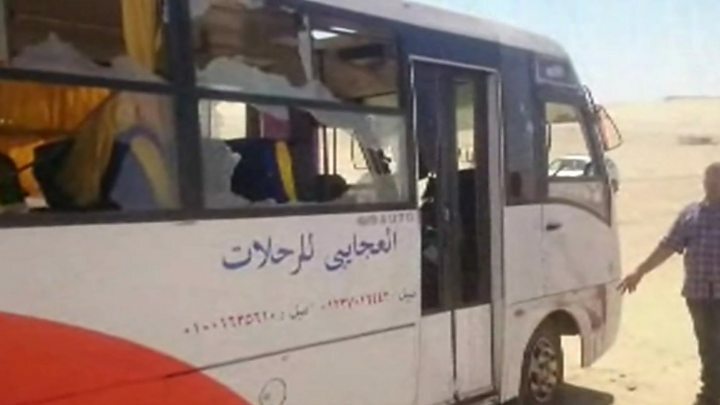 The bus was travelling to the Monastery of St Samuel the Confessor, 135km (85 miles) south of Cairo, from Minya province when it came under fire. The arrests were linked to an raid which saw a woman shot. Three teenage women have been arrested on suspicion of terror offences in an operation linked to a counter-terror raid which saw a woman shot and injured. 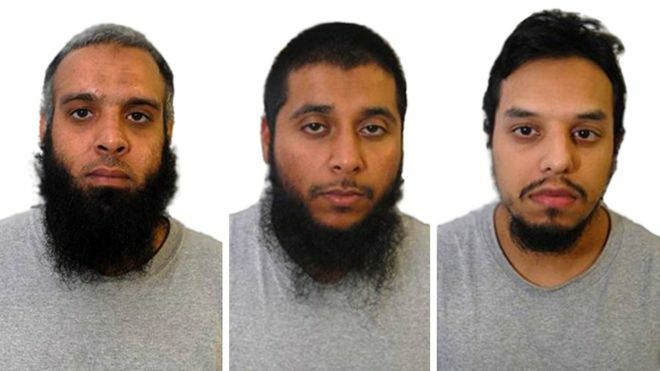 The suspects, two aged 18 and one aged 19, were held after raids by the Metropolitan Police Counter-Terrorism Command in east London on Monday. 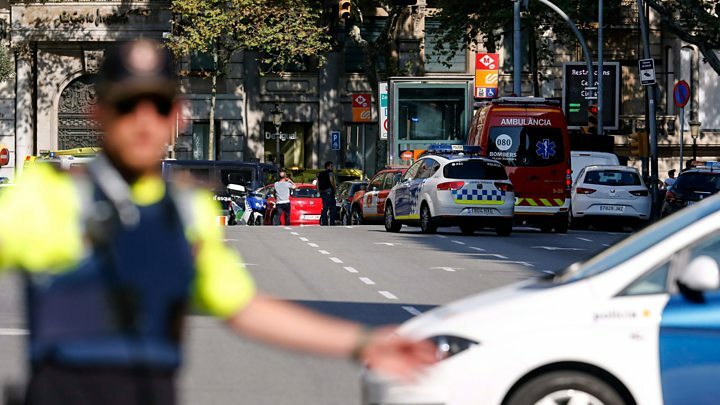 They are being questioned at a police station outside London on suspicion of the commission, preparation and instigation of terrorist acts, the Press Association reported. A lobby group which campaigns against Islamophobia and the government’s Prevent anti-extremism program has appointed a director who critics claim is himself a proven extremist. LAHORE: A prosecutor has reportedly asked members of a minority community facing trial in an anti-terrorism court over lynching of two men that he ‘can guarantee their acquittal’ if they renounce their faith and embrace Islam, rights activists claim. 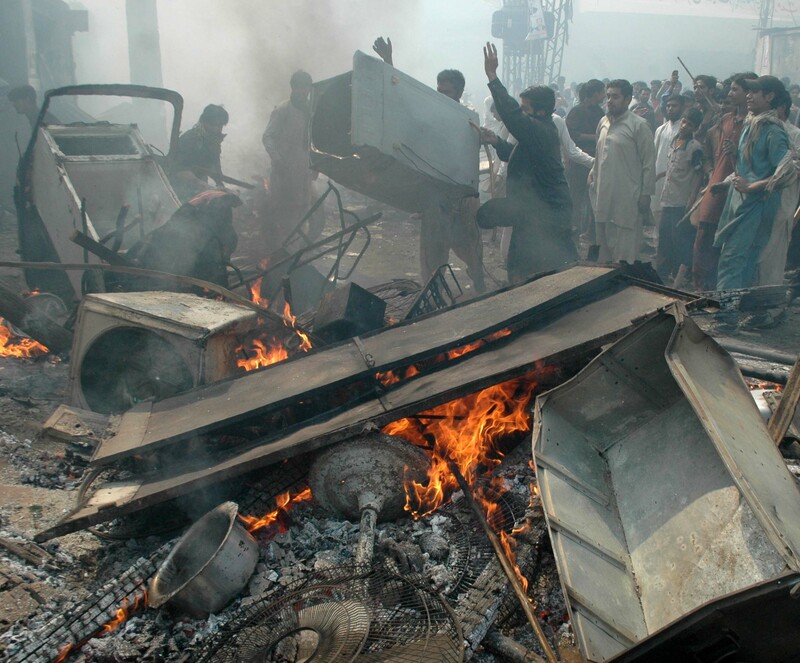 Some 42 Christians have been charged with lynching the two men after twin suicide blasts targeting a Sunday Mass in two churches in the Christian neighbourhood of Youhanabad in Lahore on March 15, 2015. Violent protests erupted after the blasts, with a mob lynching the two men, suspecting them of involvement in the blasts. The UK is not a Sharia state where copies of the Qur’an have to be treated with the utmost reverence, but the way things are going, as this story indicates, unless there are massive changes it will be soon. The Muslim Brotherhood is dedicated in its own words, according to a captured internal document, to “a kind of grand Jihad in eliminating and destroying the Western civilization from within and ‘sabotaging’ its miserable house by their hands and the hands of the believers so that it is eliminated and God’s religion is made victorious over all other religions.” That’s from “An Explanatory Memorandum on the General Strategic Goal for the Brotherhood in North America,” by Mohamed Akram, May 19, 1991. Journalists, clergymen theatened for speaking out on violence. JOS, Nigeria, March 17, 2017 (Morning Star News) – Having warned journalists and Christian leaders to stop speaking out about anti-Christian violence in Nigeria, the government this week also ordered the cancellation of a day of prayer and national mourning for slain Christians, sources said. Christian leaders here said the day of prayer and mourning planned in churches across the country and abroad on Sunday (March 19) in memory of Christians killed by Muslim Fulani herdsmen and others has been suspended on orders of the Nigerian government and security agencies. They said they have been under pressure and threat by government and security officials to cancel the program on claims that it would breach national security. The Rev. 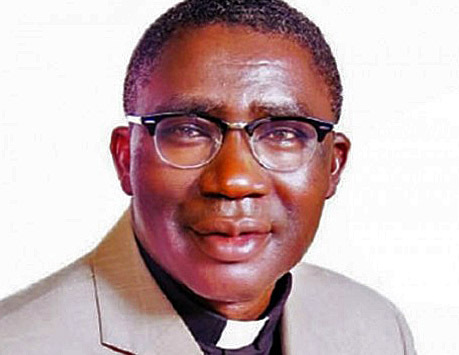 Dr. Musa Asake, general secretary of the Christian Association of Nigeria (CAN), said in a statement on Wednesday (March 15) that leaders had no other option than to suspend the program indefinitely. Christians should be careful and watchful, the statement added. “In the meantime, we are all urged to remain steadfast and resolute in the grace of God that Nigeria shall overcome the present distress and peace shall prevail all over the nation,” the statement concluded. Security agencies and the Nigerian government have recently threatened Christian leaders for speaking out against incessant attacks by Muslim Fulani herdsmen on Christian communities in central states such as Benue, Plateau, Kaduna, Nasarawa, and Niger, and by the Islamic extremist Boko Haram group in northeastern Nigeria. Earlier this month CAN President Samson Olasupo Ayokunle told the body’s National Executive Committee the failure of security agencies to arrest and charge the assailants in southern Kaduna has allowed the crisis to continue. He decried that killings have continued despite curfews, police presence and other security agencies in the area. On March 6, advocacy group Jubilee Campaign noted at a press conference in Geneva, Switzerland that a rising Fulani militancy has succeeded Boko Haram as the foremost violent threat in Nigeria. At a press conference at the 34th session of the United Nations Human Rights Council, panelists said the alarming increase in militarization in north and central Nigeria has resulted in the death of 4,000 people in the past three years. Mark Jacob, former attorney general of Kaduna state, said at the event that Nigeria needed outside help because the government has proven unwilling to protect its citizens. “We keep complaining, the government appears to be uninterested in what we are saying, and that is why one of the reasons we are here is to ask for intervention,” Jacob said. LAHORE, Pakistan, February 6, 2017 (Morning Star News) – A 70-year-old Christian in Pakistan was jailed on blasphemy charges on the same day 106 Muslims accused in a 2013 attack on a Christian colony were acquitted. 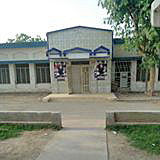 A mosque leader in the Lambanwali area north of Gujranwala, Punjab Province, on Jan. 28 accused Mukhtar Masih of writing two letters containing derogatory remarks about the Koran and Muhammad, the prophet of Islam, police records show. He was charged under Section 295-A, deliberate and malicious acts intending to outrage religious feelings, which carries a sentence of 10 years of prison and/or a fine, and under Section 298, derogatory remarks against “holy personages,” punishable by three years’ imprisonment and/or fine. 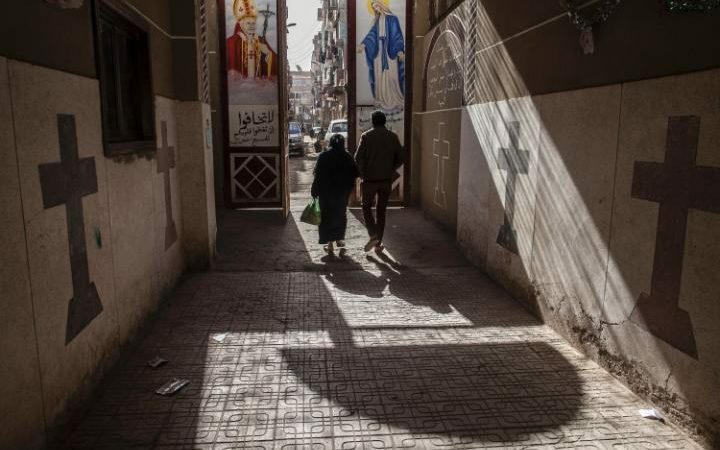 Egyptian prosecutors have dropped charges against three menaccused of stripping an elderly Christian woman naked and beating her during a sectarian riot, but are continuing to prosecute her son for allegedly having an affair with a Muslim neighbour’s wife. Soad Thabet, a 70-year-old grandmother, was attacked in May by a mob of villagers who accused her Christian son of having an affair with a Muslim woman. Adultery is illegal in Egypt and there are laws against relationships between Christian men and Muslim women. At least nine people have been killed and many more injured, according to German police, after a truck ploughed into a Christmas market in Berlin in what is believed to have been a deliberate attack. CAIRO (AP) - Sunday morning Mass was drawing to a close at the chapel next to St. Mark's Cathedral, the seat of Egypt's ancient Coptic Orthodox Church, when Magdy Ramzy said there suddenly was a "shattering explosion like nothing I had ever heard before." A bomb ripped through the chapel in the cathedral complex in central Cairo, killing 25 people and wounding another 49, mostly women and children, one of the deadliest attacks on the country's Christian minority in recent memory.